WT Architecture were delighted to receive yet another excellent turnout on Wednesday 21st January, for the third and final community workshop in the design process for the redevelopment of The Crook Inn in the Scottish Borders. This workshop saw us present the final developed designs to the community for the third time, and again generated some very constructive feedback. The design process has been guided by the brief development and community design feedback undertaken in the previous two workshops and over the past few months. Over the next few weeks, WT Architecture will be collating and responding to the community's latest feedback, and preparing for a Planning application submission. 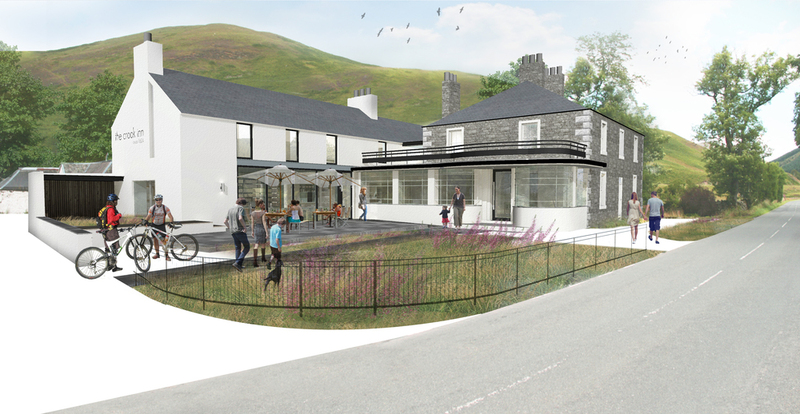 Click here to view The Crook Inn project page.